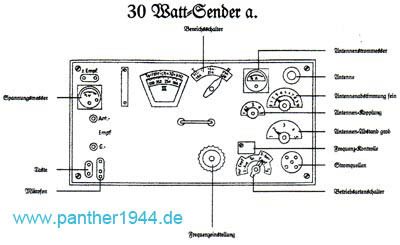 The Panther was equipped with one FM receiver Ukw. 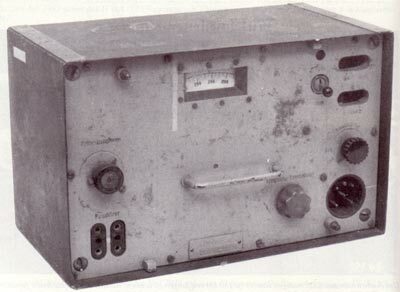 E. e., a 10-watt transmitter and one 10 W.S.c.. Together, this combination was named as FuG 5 SE 10 U. Therefore a 2-m-rod antenna was mounted on the engine cover, left behind the turret. 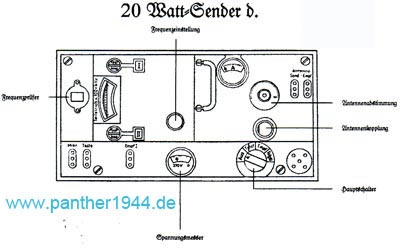 If the tank was used as a company or platoon leader’s vehicle, it got a second FM receiver Ukw. E. e. and was therefore equipped with a FuG 5 and a FuG 2. Thus, the leader could hold two radio circuits at the same time. 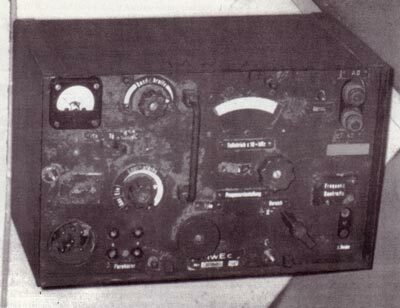 1 x FuG 8 inside the hull with a Sternantenne D centered on the rear hull deck. 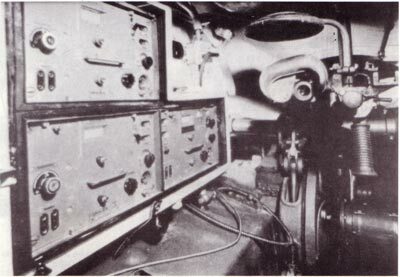 1 x FuG 7 inside the hull with a 1,4-m-Stabantenne centered on the rear hull deck. These were mounted on rubber feet, so that they could be bent up to the horizontal (e.g. during underriding trees or bridges) and then straightened up again automatically. The antennas were hollow cones made of sheet steel. 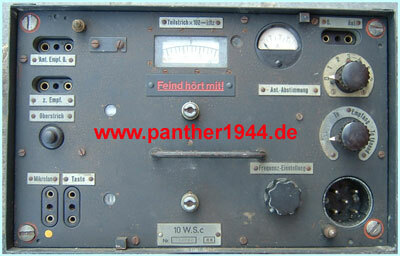 FuG 5 SE 10 U im Panther, links neben den Funker 10 W.S.c.